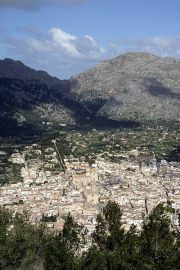 Looking down on the close-knit town of Pollença from the slopes of Puig de Marìa. The view across the Vall de Sóller takes in the peaks of Puig de l'Ofre and Es Cornadors. 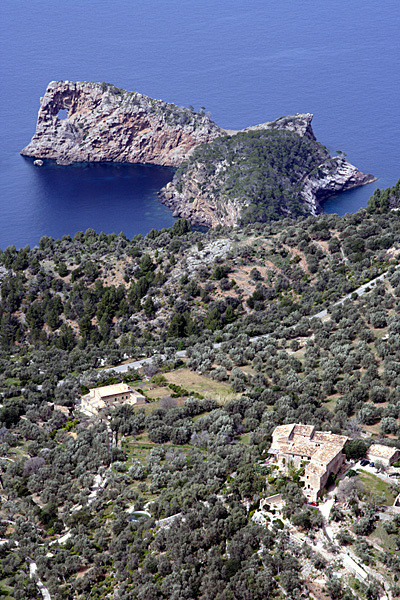 The curious pierced headland of Na Foradada, once a property of the Archduke Lluis Salvador. The late June Parker brought the pleasures of walking in Mallorca to the attention of the world. Her book was published in 1986 and was revised and reprinted up to her death in 1998. The time came for the book to be completely updated and re-published in full colour. Walking and checking all of June's routes was a monumental task, especially as some routes had been closed due to access difficulties. However, help was at hand, and with the assistance of Mallorcan mountain guide Jaume Tort, many access problems were overcome. 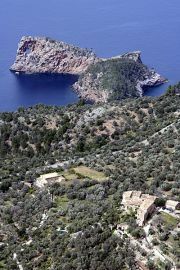 Nevertheless, it took two visits to Mallorca and seven weeks of walking before every last route had been checked, and where necessary, amended. Back at home, information needed to be sifted and sorted. June's original black-and-white sketch maps needed redrafting in full colour. Photographs needed to be sorted and captioned. When everything was finally brought together for a new edition, an extra 100 pages were required to contain it all, and the original volume was already 280 pages! In the end it was worth all the effort and the book continues to delight and inform visitors to Mallorca. 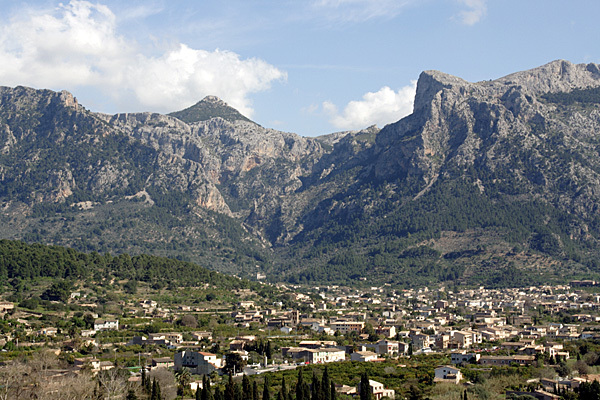 As a consequence of updating this book, the author re-visited Mallorca to check out a completely new development - the establishment of a long-distance walking trail throughout the mountains, designated as the GR221. This book has now been replaced by Mountain Walking in Mallorca.